The Selling Company: Energy Erectors, Inc. is a leading specialty electrical construction company operating throughout the United States. The company serves utility customers and prime contractors that are engaged in expanding, upgrading and developing new electrical transmission capacity. The company’s principal activity is the construction of high-voltage substations. Much of the company’s work is driven by the need for new high-voltage power infrastructure as a consequence of the aging of the U.S. electrical grid and the growth of renewable power sources. Why the company was sold: Nearing retirement age, the principal shareholder sought a reduction in his personal risk profile and liquidity. Capital Alliance’s Performance: Capital Alliance identified multiple qualified and interested buyers for the company. The interest generated in the transaction was supported by an effective Capital Alliance presentation that described the strategic benefits of the acquisition. Three potential acquirers made expressions of interest. The seller selected the acquirer who offered the largest amount of cash at closing, along with an attractively structured earnout. The engagement was completed successfully less than five months after the seller released Capital Alliance to begin work. Terms of the Transaction: The transaction valuation was at the high end of the range for comparable deals in the electrical contracting space. Escrow and indemnification terms of the transaction were highly favorable. The Acquiring Company: MasTec was an approximately $4.0 billion market cap public company at the time the deal was closed. 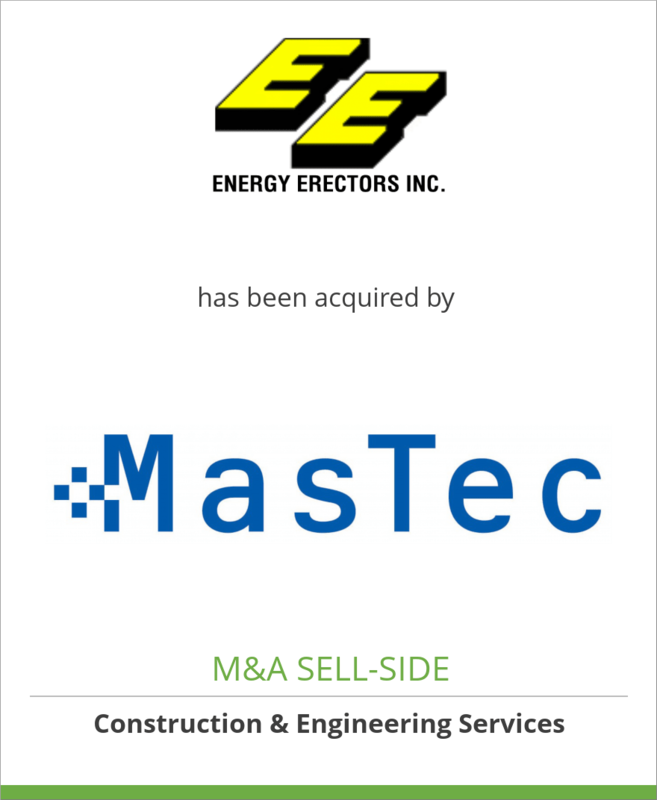 MasTec is focused on growth in the energy infrastructure services market space.